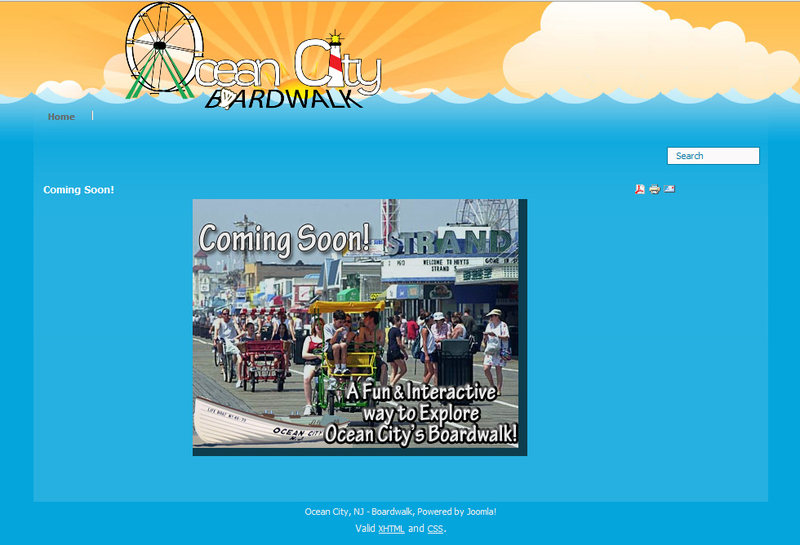 OCNJ Boardwalk is a website in the making… OCNJ Boardwalk’s main purpose is to give those visitng Ocean City an interactive and fun way to explore Ocean City’s Boardwalk. Using this site, the user can browse the boardwalk digitally, see where each of their favorite stores are located on the boardwalk, view their hours, information about the store, and more! This site is sure to be a hit for the summertime!